Tweak Smoothed out the pointy edge on the thumb. Adjustment Reworked the viewmodel and added additional textures. 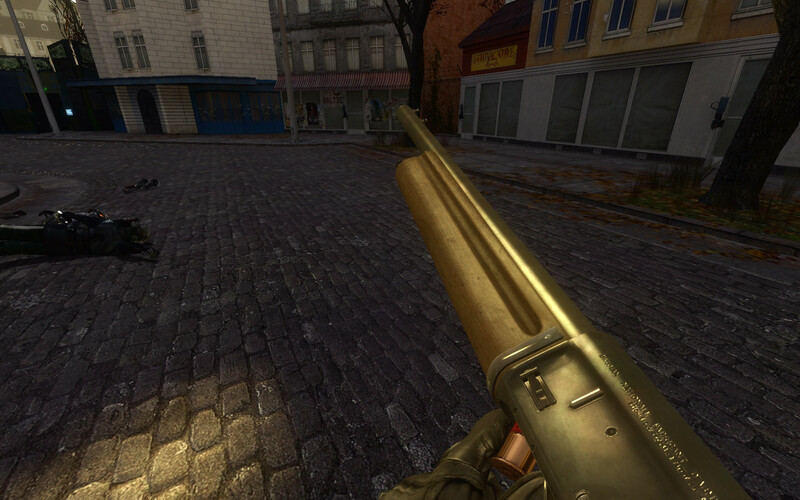 My favorite shotgun, now for Half-Life 2. "Everything" is working this time including the world model. Holy crap, an actual classic shotgun with custom animations and all that isn't just another SPAS-12 model, and the animations look reasonably weighty for a non-MMOD rigging. Nice work. I made a video showing off the animations. Bruh, shell was made by Juniez.